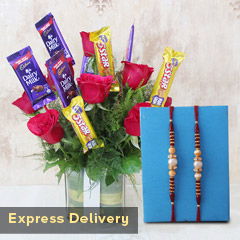 Awww….This wonderful combo of a flower & chocolate bouquet and two Rakhis will be the perfect gift for the occasion. 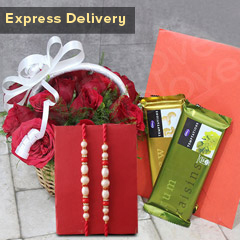 And, we will help this amazing gift delivered on proper time to your amazing brother. 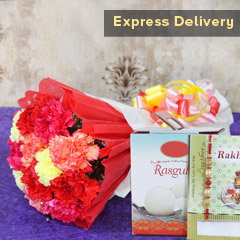 Wait no further to place your order! !